Who’s up for a stroll down Memory Lane? 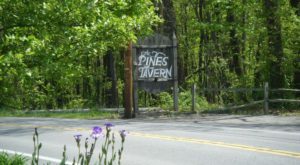 Remember the days of drive-ins? Of course, we had drive-in theaters, where we could watch a double feature under the stars. 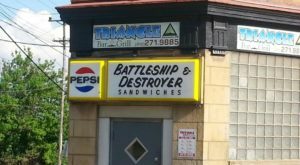 Drive-in restaurants were also all the rage. 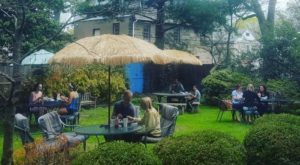 Pull your car up, put it in park, and order for you and your friends. Then kick back, relax, and wait for the waitress to bring your meal to your car. 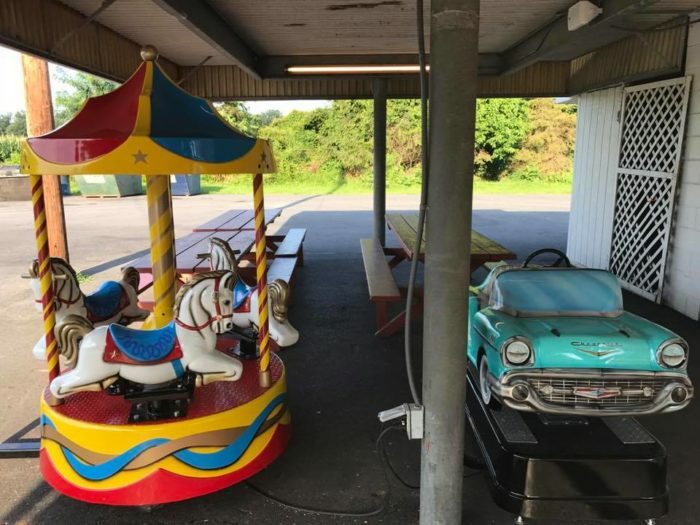 This drive-in restaurant in Pennsylvania gives us the opportunity to relive the good ol’ days or to experience the magic for the first time. 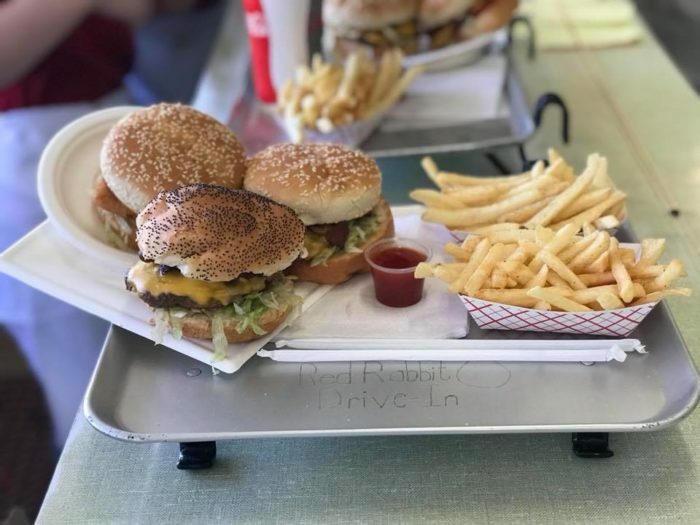 Find the perfect parking spot at Red Rabbit Drive-In Restaurant in Duncannon, an old-fashioned eatery that opened in 1964. 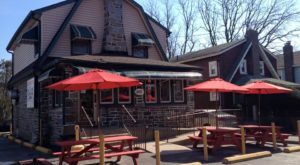 Red Rabbit Drive-In has no indoor seating, although you can sit at one of the picnic tables, if you prefer. 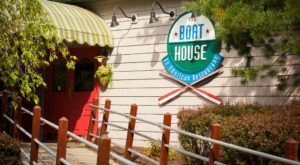 Mull over the menu that's brimming with plenty of old-fashioned goodies, such as the famous bunny burger, hot dogs, and ham BBQ sandwiches. But that's just the taste-tantalizing beginning. 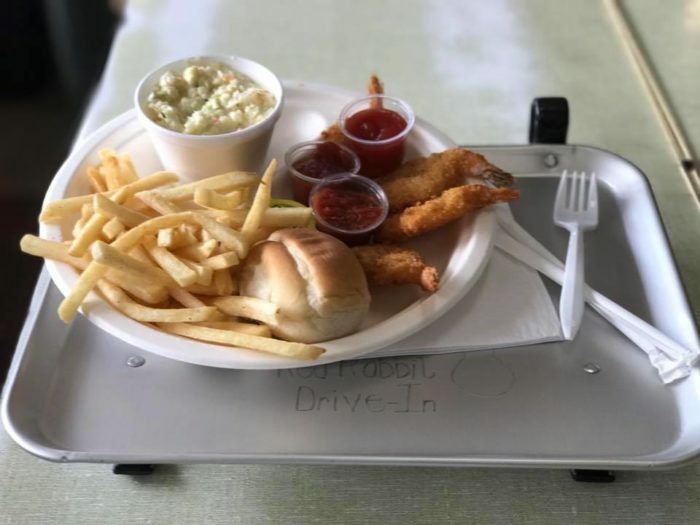 Other options include fried chicken, fried jumbo shrimp, and chicken fingers. Pair your main dish with such delectable sides as golden french fries or a hearty helping of coleslaw or applesauce. 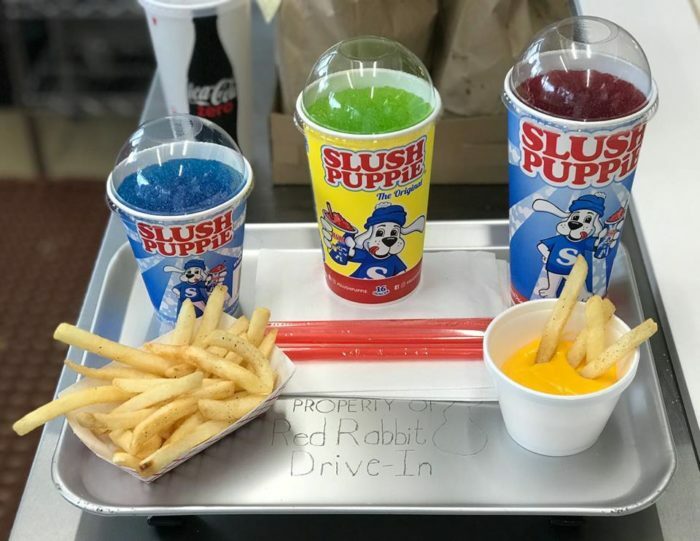 Don't forget to check out the cold treats too - slush puppies, milkshakes, and ice cream sundaes. Then again, maybe a banana boat will hit the spot? 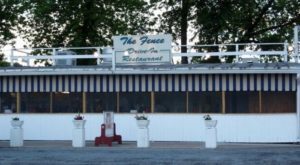 After your meal, watch the kids riding on the merry-go-round or zooming in place in a mini-1950s car. 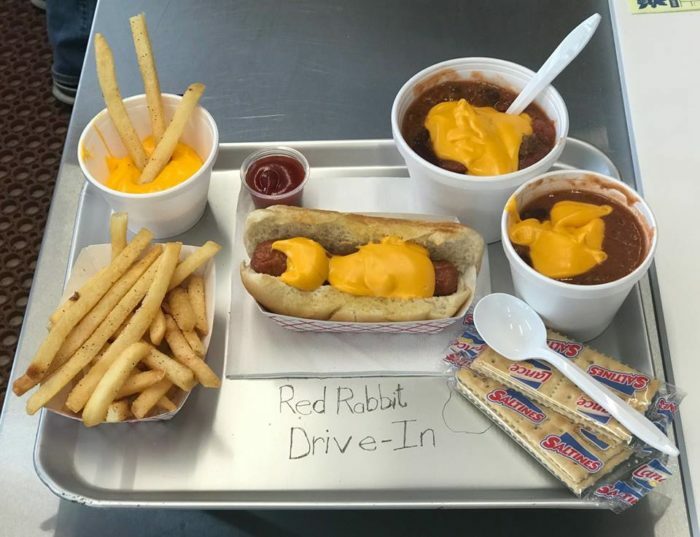 Indulge in an old-fashioned dining experience at Red Rabbit Drive-In, open Friday through Sunday from 11 a.m. to 9 p.m. 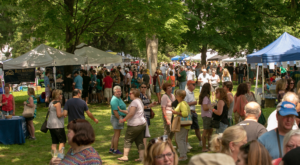 The 2018 season ends November 18, and the 2019 season kicks off on February 1. 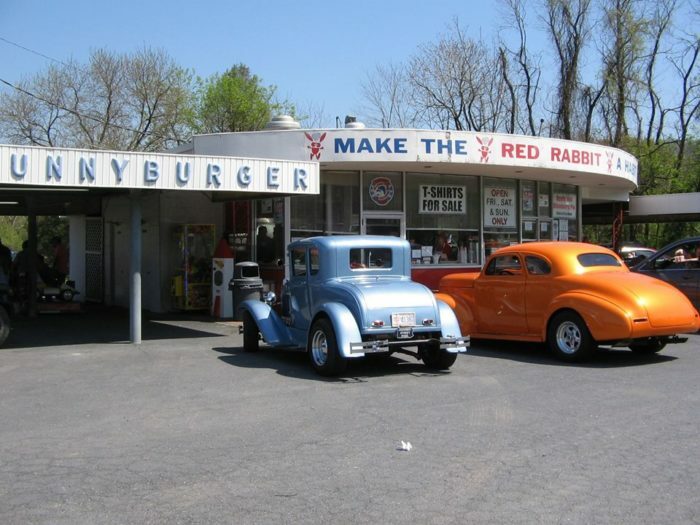 Red Rabbit Drive-In is located at 60 Benvenue Rd., Duncannon, PA 17020. 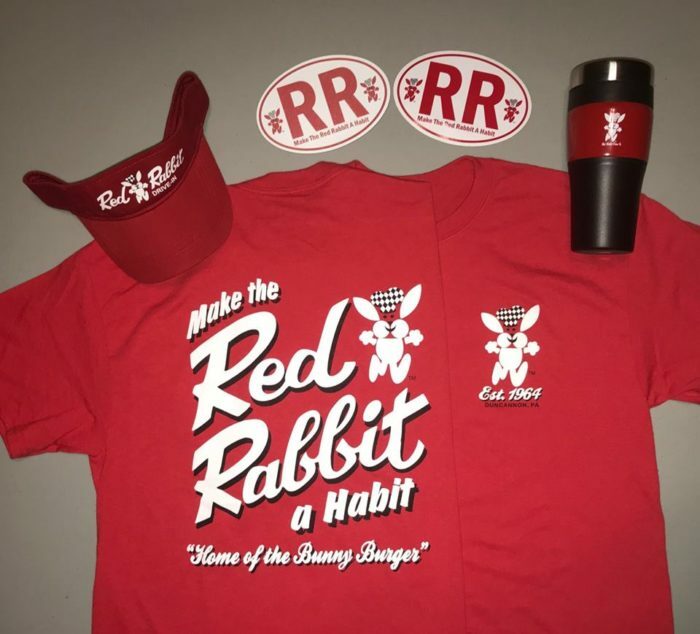 Learn more about Red Rabbit Drive In by clicking here for the official website. Or, go here for Facebook. 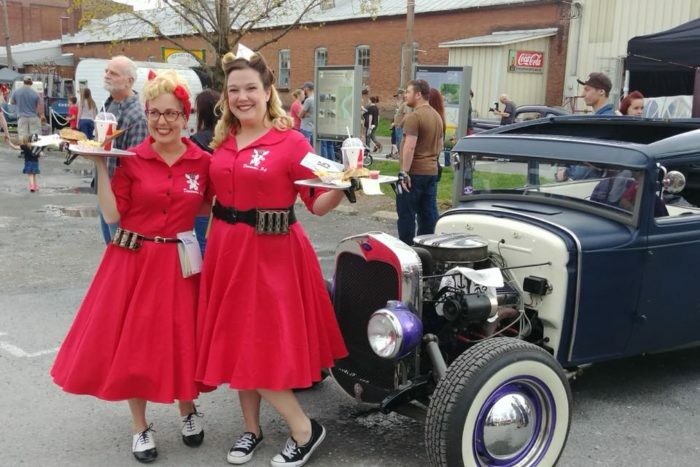 Have you been to this drive-in restaurant in Pennsylvania? 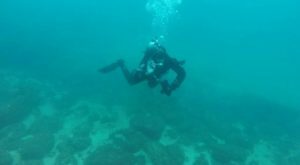 Share your experience in the comments! 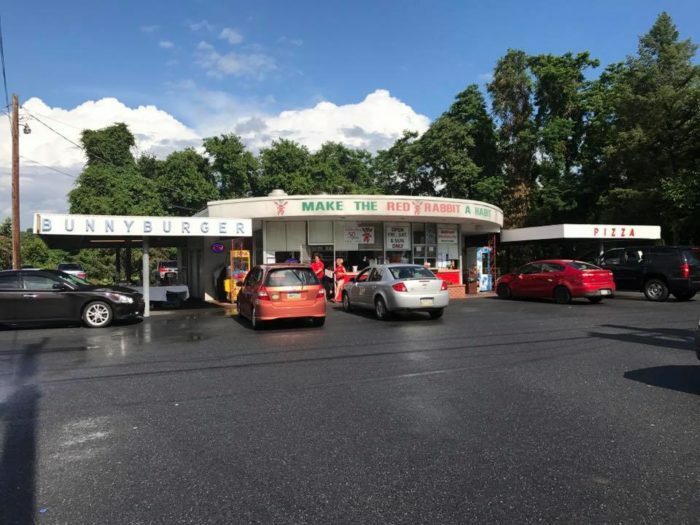 And if you like strolling down Memory Lane, click here to read about America’s oldest drive-in movie theater, right here in PA.